Applying regenerative cells from your pet’s own healthy tissue directly to the site of an injury helps the body heal itself by secreting growth factors, reducing inflammation, modulating the immune system and regenerating injured tissue in a potent but natural way. This holistic process can be used in addition to (or as an alternative to), chronic drug therapy or surgery, saving 1000’s of dollars over your pet’s life. Regenerative medicine strives to use the body’s own healing mechanisms to rebuild damaged or missing tissues. When tissue is damaged, there is release of chemicals that signal the repair process. This repair process signaling has the purpose of attracting healing cells to the area of injury and, thereby, directing these healing cells as to what needs to be done. In all cases these healing cells are stem cells. Stem Cells are polymorphic (having many shapes) and they are also poly-functional (having many possible functions). These functions vary based on what the tissue needs, therefore, stem cells can be directed to repair cartilage, bone, muscle, retina, tear glands, kidney tissue, pancreas, heart and many others if placed into damaged areas of these tissues. These cells act like the master carpenter taking direction from the damaged tissues and directing their own actions, as well as the actions of other cells, to support regrowth and repair. Stem cells live in all tissues of the body and lie dormant until there is damage and the need for repair. The chemical mediators wake these cells up and direct them into the area of damage. The chemical mediators in the damaged area direct the stem cells to do what needs to be done. This means that the chemical mediators affect the DNA of the stem cells, causing the cells to transform into another cell that more closely resembles the damaged cell. So, for example, if the cartilage is damaged as in arthritis, then the local tissue stem cells are directed to form more cartilage. This is tissue regeneration. In many cases, however, the regenerative process is overwhelmed or exhausted, or out of resources, and healing is incomplete. Adding Platelet Rich Plasma and/or stem cells can restart the healing process and rejuvenate the damaged tissue. Regenerative cells promote healing and regeneration of injured or damaged tissue. Stem cells are regenerative cells that can differentiate into multiple cell types to form new functional tissue. These cells, located in your pet’s fat stores can be harvested, separated from the fat and stimulated to revert to an active reparative state. 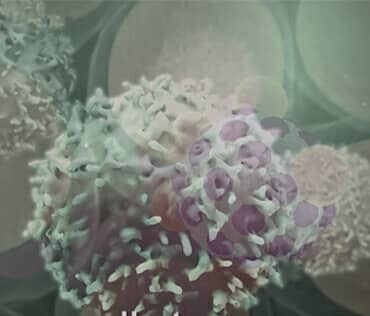 Regenerative cells also secrete factors that reduce autoimmune responses and inflammation, promote cell survival, and stimulate tissue regeneration. Accepted by the body as tissue compatible with no allergic reaction and never known to cause cancer. 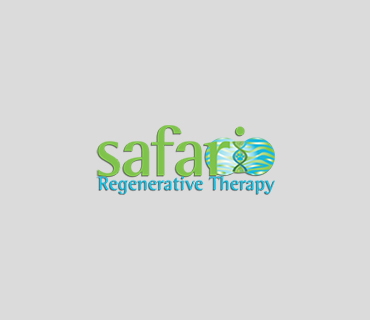 Safari’s state-of-the-art laboratory allows for processing in a controlled environment that never uses embryos. Natural Tissue Repair: uses the body’s own healing mechanisms to rebuild damaged or missing tissues; regenerating the original cartilage tissue just as it was when the animal was an infant. Applying regenerative cells from your pet’s own healthy tissue directly to the site of an injury helps the body heal itself by secreting growth factors, reducing inflammation, modulating the immune system and regenerating injured tissue. Our system provider, InGeneron (http://ingeneron.com) has been conducting research for years on the use of autologous adult stem cells in regenerative medicine. InGeneron’s team of scientists and clinicians have published more than 40 peer-reviewed studies in collaboration with renowned academic facilities such as M.D. Anderson Cancer Center and Tulane University. Unlike other cell therapy procedures, using products from InGeneron enables isolation and treatment within the same day processed at the Safari Stem Cell Laboratory assuring high quality and quantity of cells.